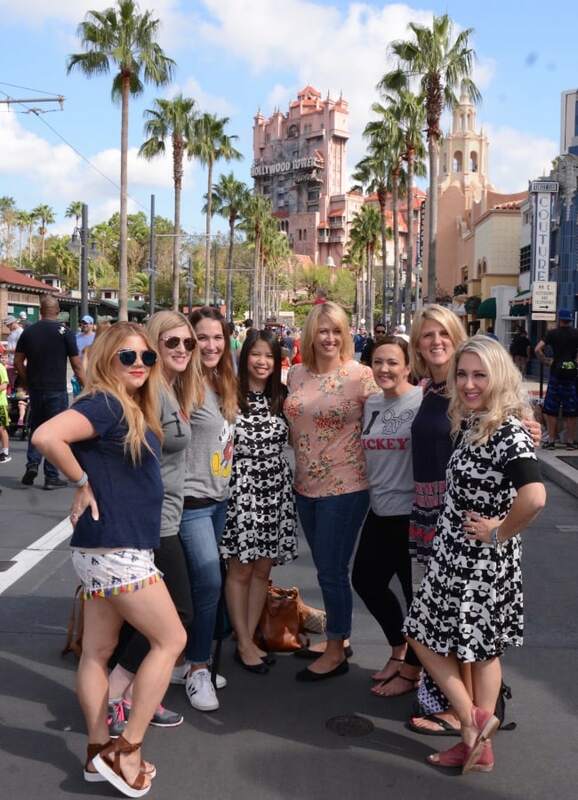 I was fortunate to attend a press trip with Walt Disney World recently with this fun group of ladies. I’m also fortunate to live within driving distance. We have been annual passholders (we pay for these passes ourselves, out of our own pocket) for several years now and LOVE it! 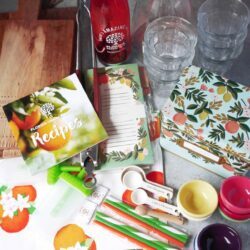 I was so happy to revisit old favorites and find new ones!!! Be sure to check out the video I created at the end too. The happiest place on earth always puts a smile on my face. When you visit Walt Disney World, you have to add Disney Springs to your list. Formerly known as Downtown Disney, the dining and shops open now are amazing! If you went to it before it was rebranded, you will be shocked at how much it’s changed, for the better. A new favorite is Paddlefish. We loved loved their lobster guacamole and their lobster corn dogs. The desserts were fantastic too! The brownie milkshake and the key lime pie were must gets. At the Ganachery, they are going to have these amazing upon amazing made to order s’mores. There’s a wonderful chocolate ganache, housemade marshmallows and housemade gingerbread cookies. It’s perfection! Other can’t miss places, are Blaze Pizza for the pizza of course. There’s usually a line but it goes pretty fast. They only have a few different price points and you can order as many toppings as you want! Also, don’t miss Amorette’s for dessert! For even more info, check out my article on more restaurants at Disney Springs! I have so many shops that I LOVE at Disney Springs including Sugarboo, UNIQLO and World of Disney. 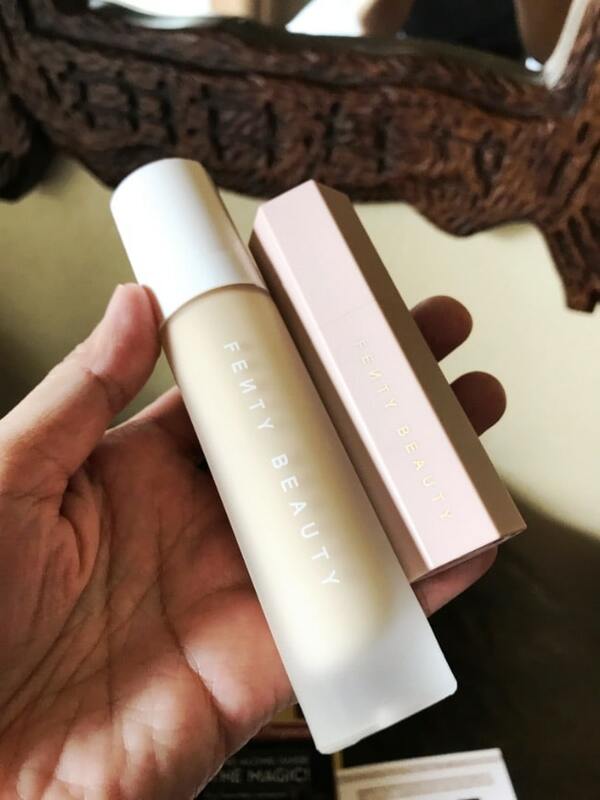 Another fave is Sephora…I got the new Fenty makeup foundation! We got to visit the Holiday Warehouse. Have you ever thought about how they install those super tall Christmas tree during the holidays? They store them and take them apart in pieces and they are housed in the Holiday Warehouse on property! So excited about these Christmas tree red velvet whoopie pies! I love spending the holidays at Walt Disney World. A couple of years ago, we spent Christmas Day at Hollywood Studios and loved it. The spirit of the holidays and the decor both really are amazing at WDW. Last year, was the first year for the Jingle Bell, Jingle BAM! show at Hollywood Studios. I LOVED it! I’m so happy it’s returning this year! This year, we plan on spending Thanksgiving weekend at Disney! 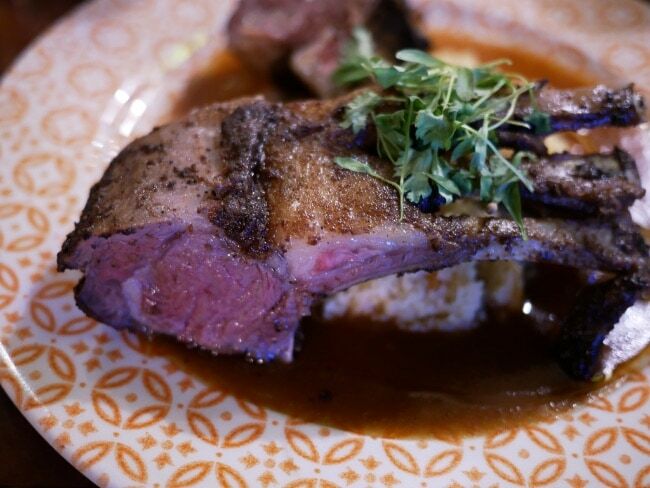 Jungle Navigation Co. Ltd. Skipper Canteen: I have been there a couple of times and I love love the whole fish & the lamb chops (pictured above). 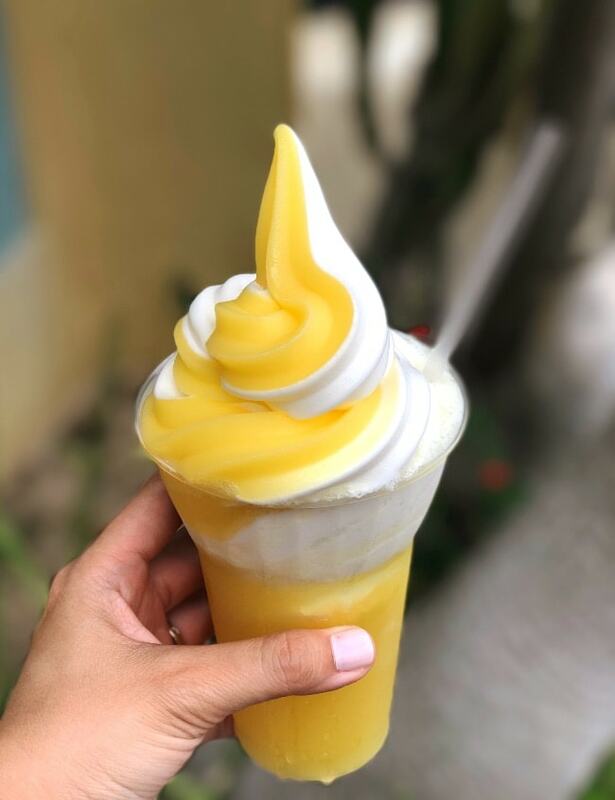 Always have to have a Dole Whip…I was so excited that I could get the pineapple soft serve can be swirled with vanilla again! I have to recommend a quick service restaurant that has been a favorite since I was a kid. The Columbia Harbor House, they serve these amazing lobster rolls and fish & chips! First, depending on the ticket(s) you buy for the Dessert Party, there is a reserved area for the Happily Ever After fireworks show! 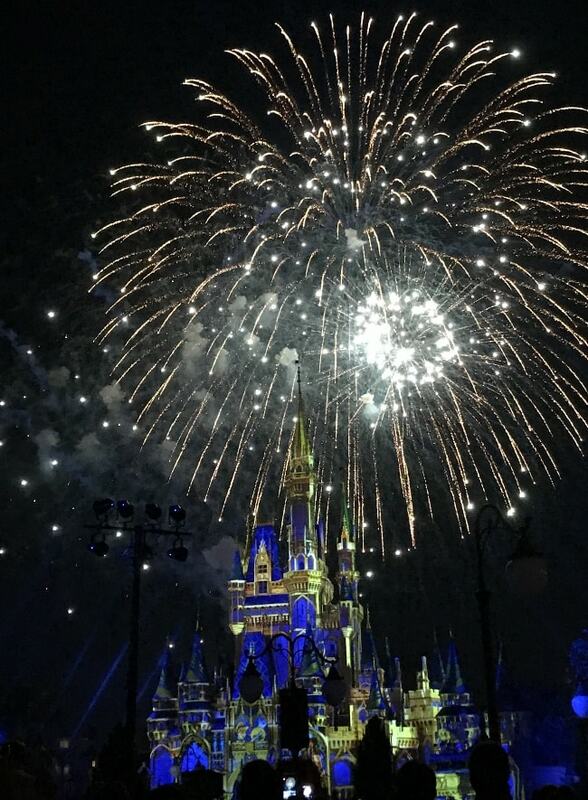 I was sad to see Wishes go but this show is amazing! I’m so excited to share Pandora with you! 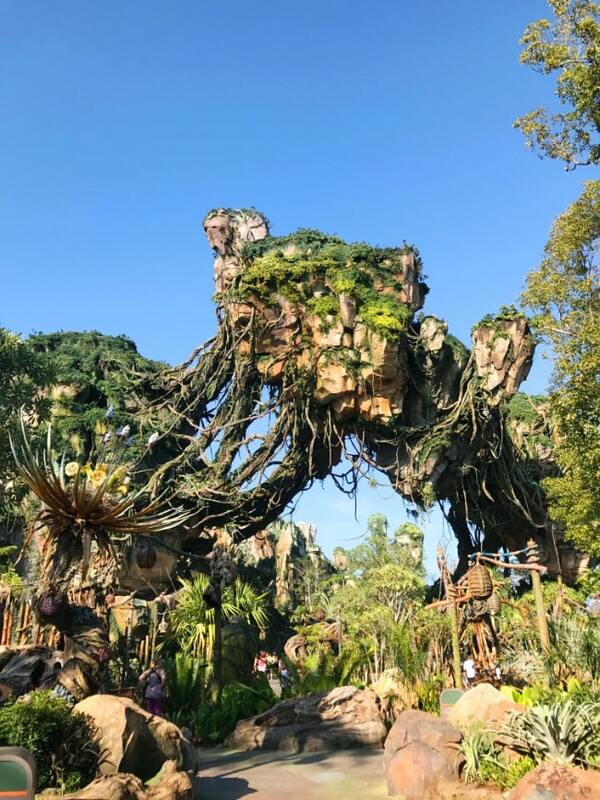 A huge favorite and really popular, it’s really hard to get fast passes for the Flight of Passage ride. Even at the risk of overselling it to you, it’s amazing! It’s 100 times better than Soarin’. But if you get a little motion sickness on rides, this isn’t for you. You literally feel like you are riding on a banshee and and and, you feel like you’re in the movie. 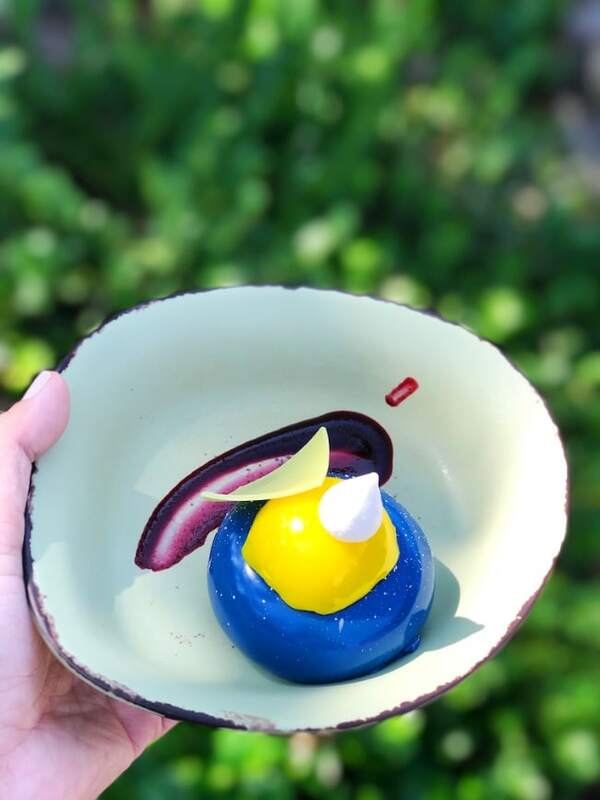 You have to order the crispy fried tofu platter (ask for all of the sauces) and the this blueberry cheesecake mousse from Satu’li Canteen. Tusker House Restaurant is a new to me favorite. My first time there, the breakfast buffet was soooo good! Plenty of great breakfast items and some African and Indian inspired dishes too. This festival is something I look forward to every year! 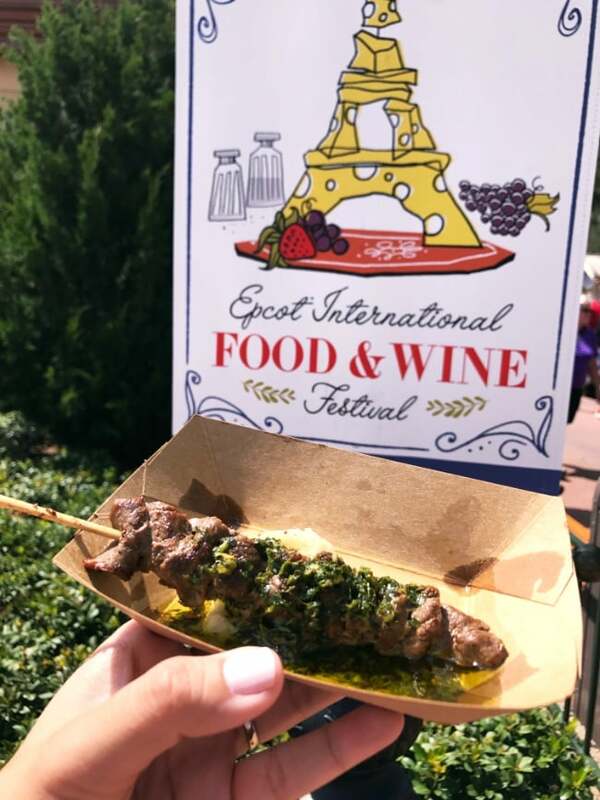 These grilled beef skewers with chimichurri suace at the Patagonia marketplace is one of my faves! 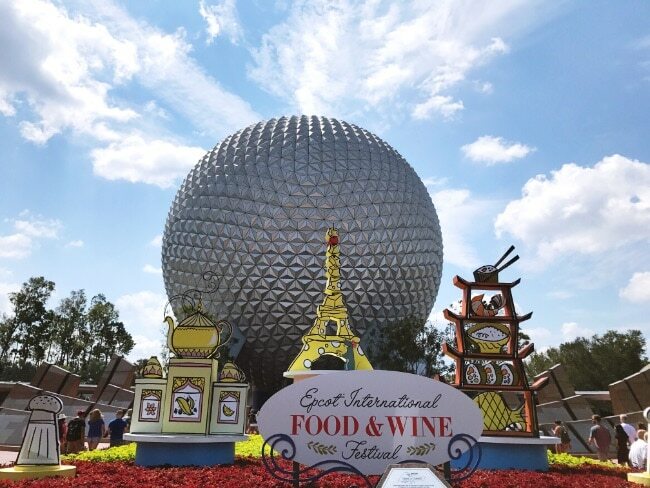 I have also shared about the Epcot International Food and Wine Festival in the past! Also, shared when I had desserts around the world. And stay tuned, I’m going to share my favorites from the Food & Wine festival this year! This is my first time at La Hacienda in Epcot. My friend, Shelly, loves this place. It’s definitely getting added to the list of great places to eat at Epcot. 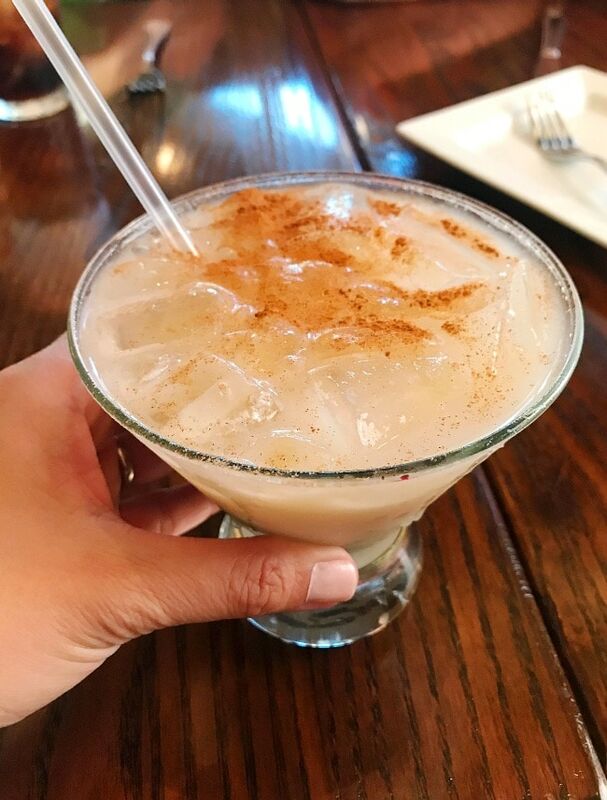 Get the short ribs and the horchata margarita! 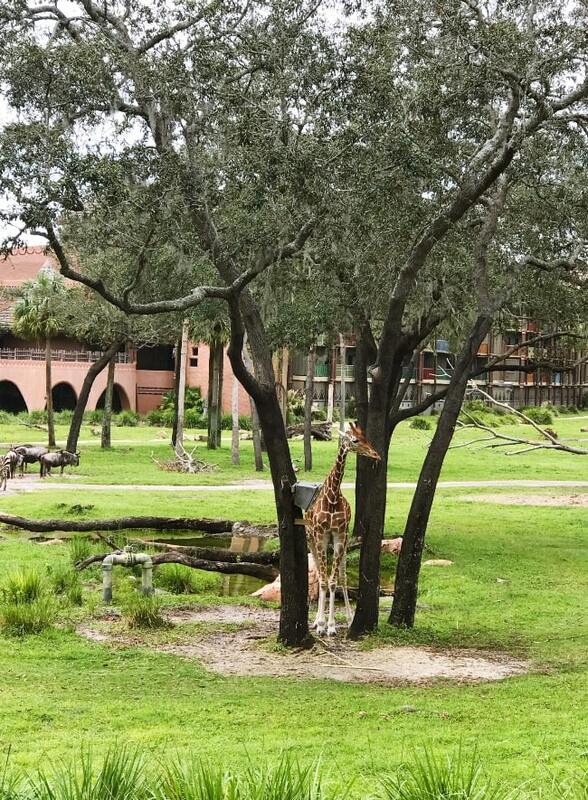 Seriously, I love the Animal Kingdom Lodge. The restaurants are fantastic. I even love the quick service cafe, they have the most amazing blueberry muffins! 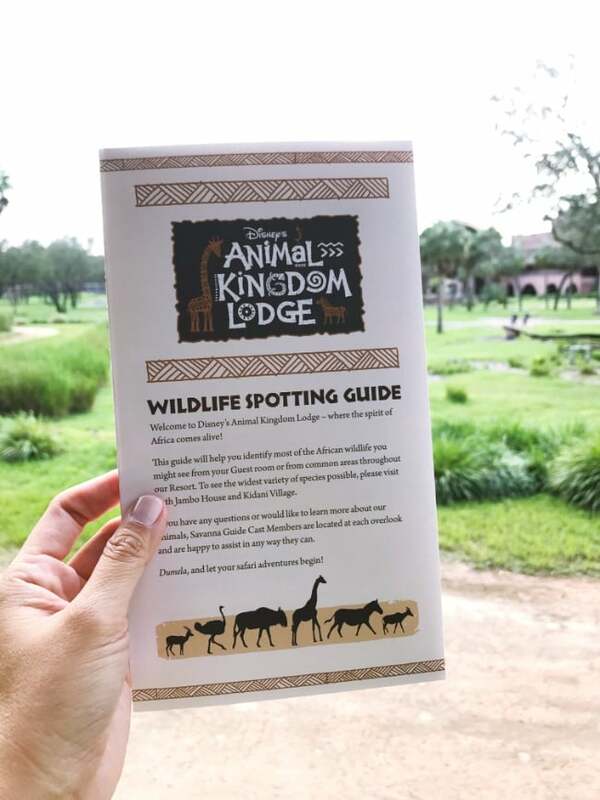 There’s a wildlife spotting guide in your room with a checklist so you can mark off the animals you spot outside your window at the Lodge! Be sure to check out the video of my trip! Disclosure: The trip was covered by Walt Disney World. I only work with brands that I love and my opinions are always my own. I live about 50 minutes from Disney in Florida. We camp at Fort Wilderness once a year. The Dole pineapple swirl and the other food looks amazing. 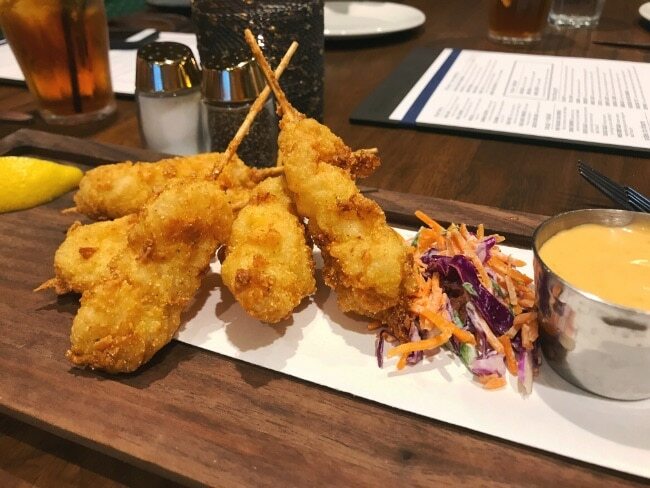 The lobster corn dogs look incredible! That day must have been so much fun! Nice photos. I have not been to disney in probably over 15 years. 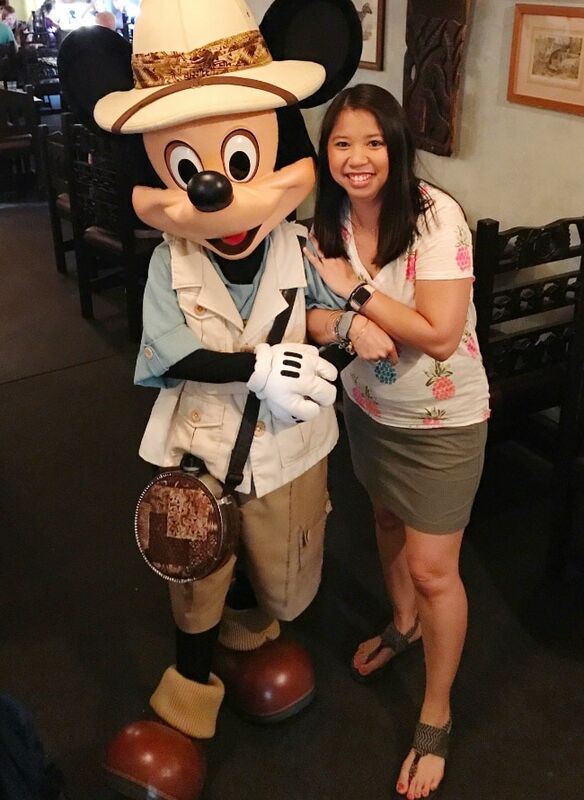 I never knew going to Disney World would take you on a culinary adventure as well! All the food looks delicious! Okay, I knew there was a lot to do at Disney World, but didn’t know about all of this! Those smores sound amazing! We are planning our first Disney trip this coming year and you have given us lots to be excited to see. 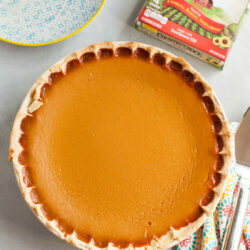 The food looks so delicious! What an amazing place to visit. It looks so fun and the food looks delicious. Lobster corn dogs! Let me at ’em. Never been to Disney, maybe someday. 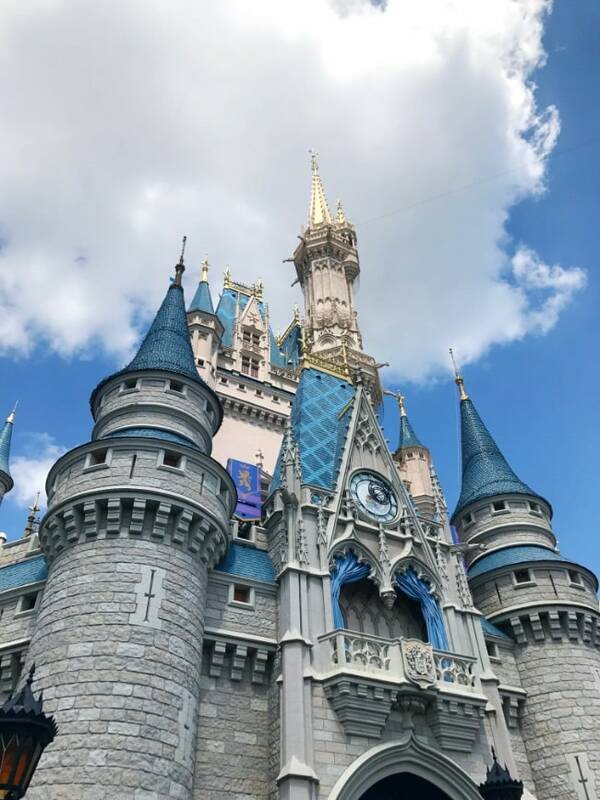 Love DIsney World – time for another trip there. I love all things Disney. 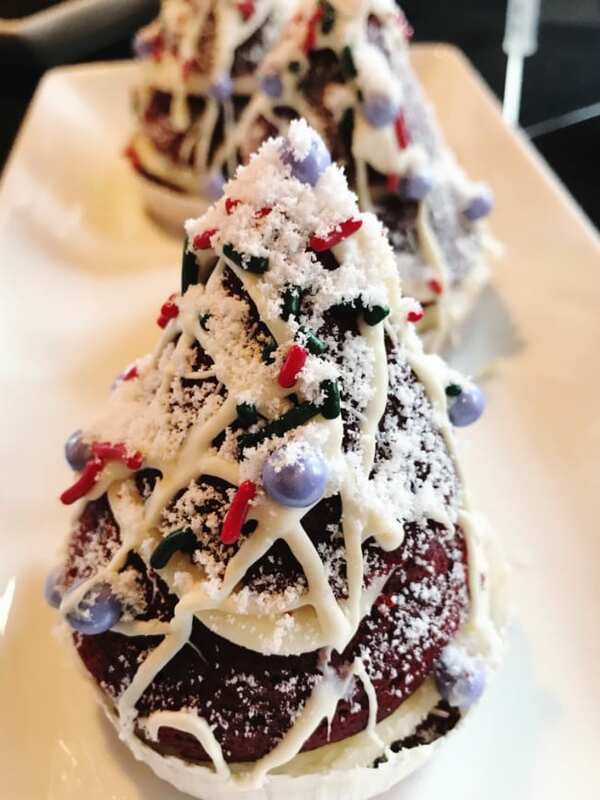 The Christmas tree red velvet whoopie pies look so yummy! You had me at ganache. I haven’t visited Disney as an adult but clearly I need to! I’ve never made it to Disney World, but we lived in Southern California for many years and were regular visitors to Disneyland. We still enjoy going there when we visit family. What a fun-looking trip – I love how this blog post is essentially a food tour of Disney World. I’ll have to go on one of my own sometime. Oh wow! 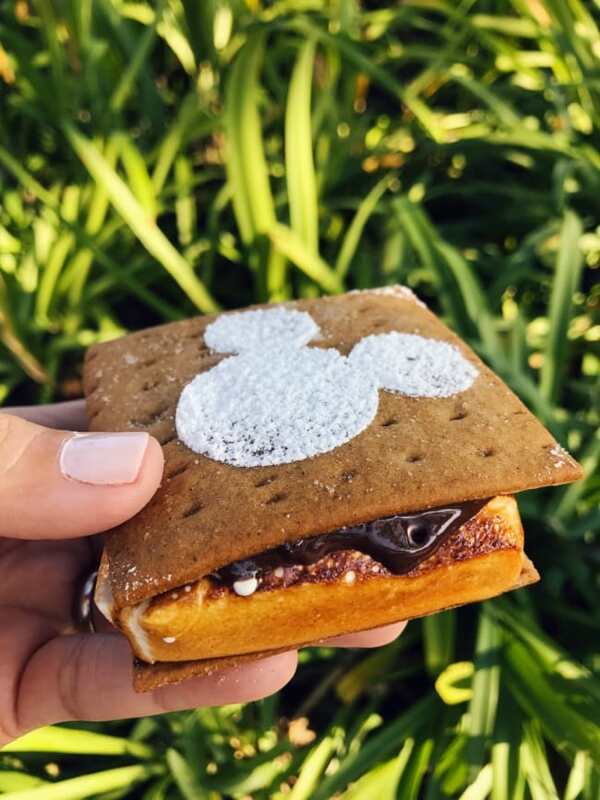 Made-to-order S’mores? That is amazing. I am determined to make a trip there and this helps guide me into the menu aspect. Thank you.